Reported judicial opinions, as we know them, are a relatively new concept. 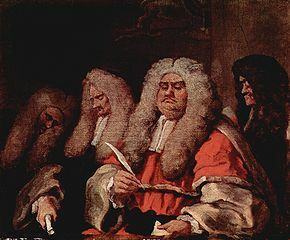 In England, the Incorporated Council of Law Reporting (ICLR) began publishing compilations of judicial opinions called the Law Reports, in the mid-19th century. Prior to this period, judicial opinions were often given orally and court “reporters” would record the opinions, compile them in reports bearing their name (known as nominative reports) and sell them. The ICLR has compiled most of these pre-1867 reports into the 176 volume English Reports. Prior to 1865, a number of different authors recorded, compiled and published judicial reports. A researcher interested in historic English case law is likely to encounter a citation to a nominative report. It is also likely that the researcher will not have access to the report, but will have access to the English Reports. The English Reports Tables is a chart that lists all of the nominative reports contained in the English Reports and the corresponding volume and series of the English Reports. There are two ways you can access the English Reports Tables: in print and through HeinOnline. The English Reports Tables is a slim 8 page print volume housed behind the reference desk on L3 (Ref Desk KD 270 1220 .E533 (1930)). It lists the name of the nominative or “old” reports alphabetically, as well as the corresponding volume in the English Reports, the abbreviation of the old reports, the period covered, and the series or court. To find the volume containing the nominative report you just need to find the name of the nominative report and follow it to the corresponding volume of the English Reports. You can see that the nominative reports Owen can be found in volume 74 of the English Reports, it is abbreviated Ow. And it covers the King’s Bench from 1556-1615 . Heinonline provides access to the English Reports including the English Reports Tables, which they call Chart of Reports. If you are on the YaleSecure network or logged in through VPN, you can access the English Reports through the Subscribed Libraries or by searching for English Reports in the HeinOnline Catalog. The content of the chart is the same as in the print volume. However, the volume of the English Reports that corresponds to the nominative report is hyper linked and clicking on it will take you directly to the desired volume. If you would like to learn more about Finding English Case law please see the Yale Law Library’s research guide here or contact our reference department via chat, email, or at 203-432-1606.